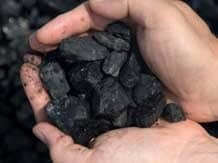 Mahanadi Coalfields Ltd (MCL), the flagship subsidiary of coal behemoth Coal India Ltd (CIL), has set its eyes on some big coal mines to achieve the Coal ministry's projected output of 250 million tonne (mnt) by 2020. A roadmap recently released by the ministry has pegged coal output by CIL at one billion tonne by the end of 2019-20 with MCL poised to contribute a fourth of this ambitious production. MCL will play a pivotal role in meeting the CIL target, contributing 250 mnt, double of its current output of 125 mnt. Apart from MCL, another subsidiary- South Eastern Coalfields Ltd (SECL) is expected to contribute 240 mnt. "We are confident of achieving the coal ministry's target of 250 mnt. Our single open cast mine - Siarmal in Sundargarh district will have a production capacity of 40 mnt per year, making it the second biggest coal mine in Asia. The Garjanbahal coal mine would produce 10 mnt. MCL's only concern is coal evacuation since without despatch, production is bound to stagnate," said A K Tiwary, director (operations), MCL. The proposed Jharsuguda-Barpali railway line will play a key role in coal evacuation, he said. The MCL website informs that there are 18 ongoing coal projects of 151.33 mnt capacity and involving a capital investment of Rs 8,315.11 crore. Ananta, Bharatpur, Balaram, Bhubaneswari, Gopalprasad, Hingula, Siarmal, Basundhara and Kulda are some of the ongoing coal mining projects. The key requirement for scaling up production are new railway lines, switching over to full mechanisation and full technology adoption, large scale contract mining, upgrading skills of employees, speedy acquisition of land and expeditious environment and forest clearances. The state government recently inked a memorandum of understanding (MoU) with the railways and coal ministeries to float a special purpose vehicle (SPV) for evacuation of coal. The SPV is being forged to evacuate coal. Under this SPV, project specific SPVs can be formed where private partners can have equity participation. In the SPV, the Odisha government will have 10 per cent equity. The Ministry of Coal or its PSU MCL will have 64 per cent equity while the Railways ministry through any of its PSUs - Rail Vikas Nigam Ltd (RVNL) or IRCON will hold 26 per cent equity. In February this year, Coal secretary Anil Swaroop had announced two SPVs to facilitate speedy evacuation of coal from Talcher and Ib valley coalfields in Odisha. Coal stockpiled at pitheads has been a pressing issue for both the Centre and the state government. Hence, the SPVs are planned to evacuate coal.